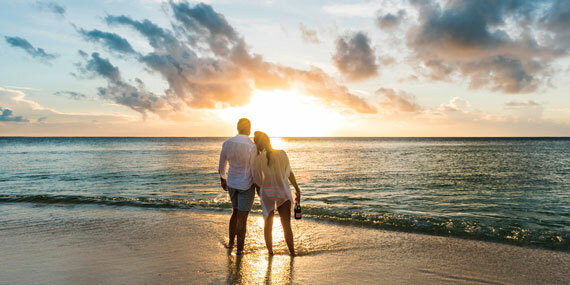 From Príncipe to Seychelles and Mozambique in between, here are our 3 top beach destinations for honeymoons, and WHAT WE ❤️about each. BUT DOES IT BREAK THE BANK? Rainforest meets ocean off the coast of Gabon in this 'Galapagos of Africa'. Encounter unique tastes, smells, sights, and sounds. Breathe in a different kind of air as you discover ancient species, new to you. WHAT WE ❤️ — Here you can have a private picnic and take a skinny dip on your own secluded beach. No interruptions, guaranteed. 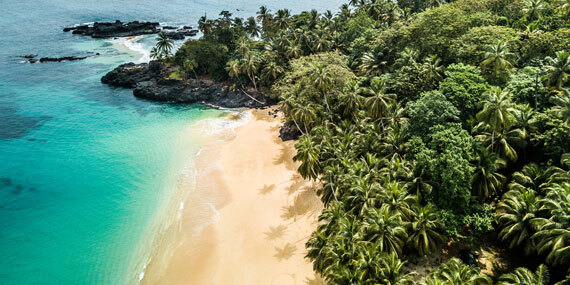 Couples stay 3 nights or more at PRAIA SUNDY at € 850 per couple per night, with free return flights between São Tomé and Príncipe islands, a night at Omali Lodge with breakfast and a tour to Ribeira Izé. Valid until 30 November 2018. Secluded picnics, beach dinners, get the heart pumping or simply laze - both the endless beaches of AZURA BENGUERRA and the private island of AZURA QUILALEA are at the top of the honeymoon dream list. WHAT WE ❤️ — At Azura each of the suites & villas (at both Benguerra and Quilalea) have their own private pool. These rooms are the ultimate romantic escape. HONEYMOON HEAVEN offers the bride 40% off on stays of 5 nights or more, with all the surprise honeymoon spoils along the way. Visit a far-flung atoll and explore a vast ocean wilderness in the middle of seemingly nowhere. ALPHONSE, ASTOVE & COSMOLEDO combine to showcase the best of Seychelles outer islands. WHAT WE ❤️ — This is one of the most remote island experiences on earth, while you totally disconnect from the world you can only but connect with your spouse. What better way to start a marriage? 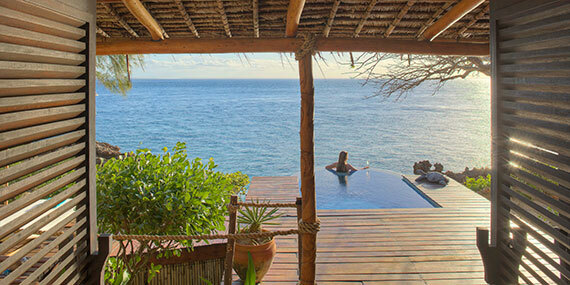 Honeymooners receive 30% off the bride's accommodation and couple spoils in the HONEYMOON PACKAGE. In our Classics team we have 4 pending weddings (all in the next few months) and honeymoons are a hot topic. Share the love and start selling!